Good idea, but not impressed with the execution. The kids are okay, the demogorgon is way undersized. I'd probably buy these if McFarlane wasn't making 7" ones. Hmm, interesting. Really liked the show, but I'll have to think a bit on these. I think Funko was just too late on this one. 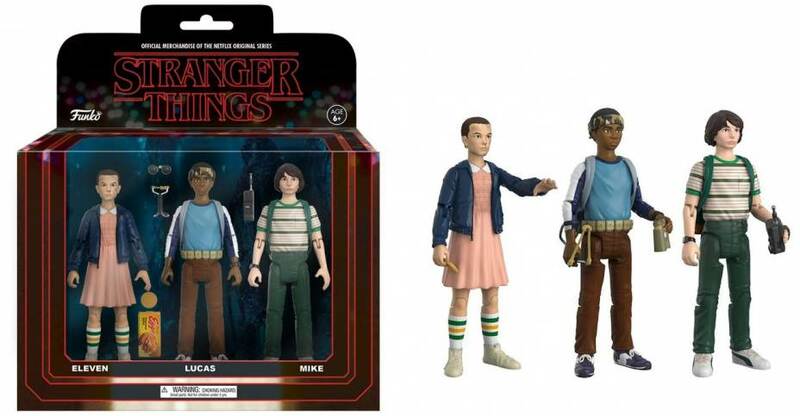 Maybe wait for McFarlane to release a Demogorgon to go with these figures? I don't know what this is but 3.75" is at a massive deficit for child figures and I could use some for customs. Plus that girl ("Eleven", does it say?) has a great head for Negasonic Teenage Warhead. Bought on first sight! I have a buddy that imports toys.... I am off to email him RIGHT NOW! I so need these! Huge fan of FunKo 3.75"
I do hope these are scaled properly, I want a set of these but for 1/18. If they're truly 3.75, they'd be too tall for my collection, too short for 1/12 collectors. I bought the Twin Peaks set, though my first one had a busted Log Lady when I opened it, the Stranger Things kids would go well with those. huge fan of the show, i'll be picking these up for sure! I agree larger scale figs would be better though. 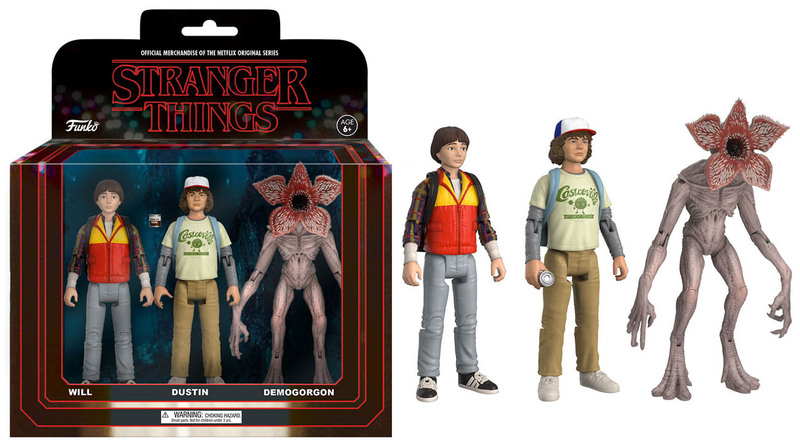 Just noticed that Dustin comes with a container of pudding. I bought a few of the Reaction figures and thought they were garbage, but I saw the Twin Peaks 4-Pack a couple of weeks ago and I saw the Batman 66 Batman and Robin with the Batmobile today and They all looked great. Funko has really improved the Sculpting, Paint and Articulation for some of these newer 3.75 inch figures. Boo... 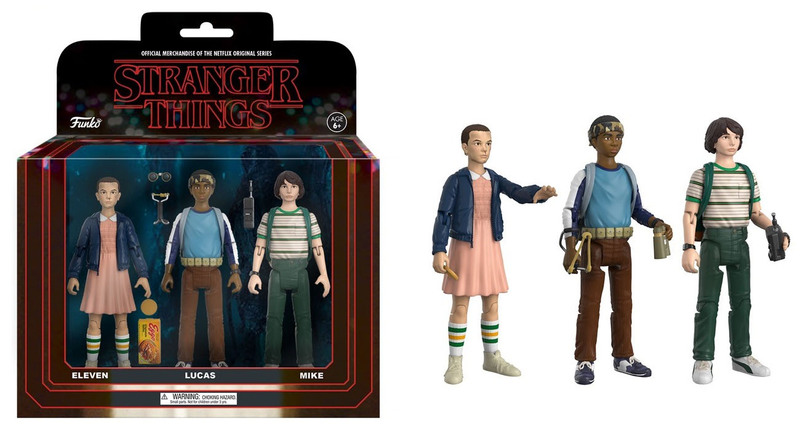 I want Dustin and Eleven to be in the same pack. I need them both. Worth to keep em as unopened collection. I was at Target and they sell all six of them on single cards now for $7.99 each. Finally got my 3.75" Eleven and Dustin for cheaper instead of having to spend 40 bucks for both 2 packs.